Looks good but I would suggest moving the coral feeding date to it's own column. This will help normalize your records and make it easier to track feedings in the future. Now I am curious, is there a specific species list that would be more suitable for picos, vases, etc. ? Have you used Seachem Flourish? Only in my planted FW as well. 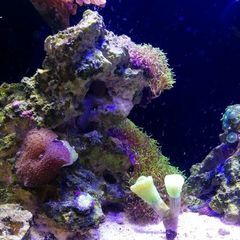 I had a lot of black beard algae and squirting flourish directly on the algae would kill it. The flourish in conjunction with my army of Neocaridnia shrimp cleared up a hefty black beard algae infestation in a couple of weeks. Oh wow. I haven't come across a clear one in my searches. Who makes this one? I was able to find some videos. It looks like he fed a light and heater through a cut in the canister filter and put silicone over the hole or something like that. I wonder if the silicone bandage would be any weaker than pumping an Aqua Lifter through a food container with a gasket that's plumbed with airline fed through drill holes, especially with a stronger pump on the canister? Hmm I wonder if something like this would work better then? A canister would be opaque; I was thinking with a clear container macro could also grown in the container. I have been thinking lately of ways to add a refugium / water volume / live rock to smaller tanks that a hang on back filter wouldn't fit on to, nicely. What I have been thinking might work is taking a threaded, food safe food storage container like these: Then drilling 2 holes in the top for inserting airline ( plumbed like a slip coupling), with one airline port being the input from the Aqua Lifter ( which is pulling water from the tank) and the other being the return to the tank. I am assuming it would function similarly to a canister filter, but with less pressure due to the low flow rate of an Aqua Lifter (3.5 g.p.h.) pump. Would the Aqua Lifter work for a set up like this or would the pressure still be likely to leak through the threads / slip coupling? Perfect answer. I hadn't thought of culturing pods/ phyto for feeding with a dosing system before. I had always thought of it more of a task for separate aquarium or a gang on back unit to avoid a centrifugal pump. Interested in your live feed set up. Are you feeding constantly? How are you ensuring that you do not feed quicker than the foods can reproduce? You will probably want a light that covers a bit more of the spectrum than just an all blue one (even if blue spectrum is generally accepted as the most useful for coral growth). Regular maintenance could negate any build up. 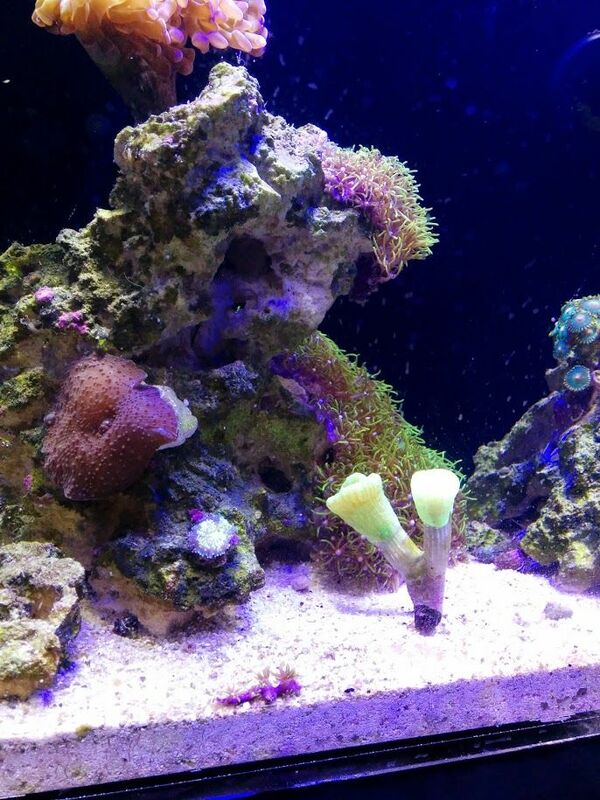 I've been curious as to whether or not a sponge filter in a small aquarium would be able to create enough flow to support some very easy corals. Any insights/anecdotes are appreciated! Radion + Apex for Pico? Does anyone know if they will be doing a smaller size evo similar to the sec III? It shouldn't matter much if you heat and reheat but do watch out for evaporation; seal the container if you are storing for an extended time.